Grab some friends for a day on the slopes for this year's Community Sky Day. There aren't many things better than a good old trip to the mountains for a day on the powder. Unless, that is, you can go hit the slopes for only $10 and fight cancer at the same time. 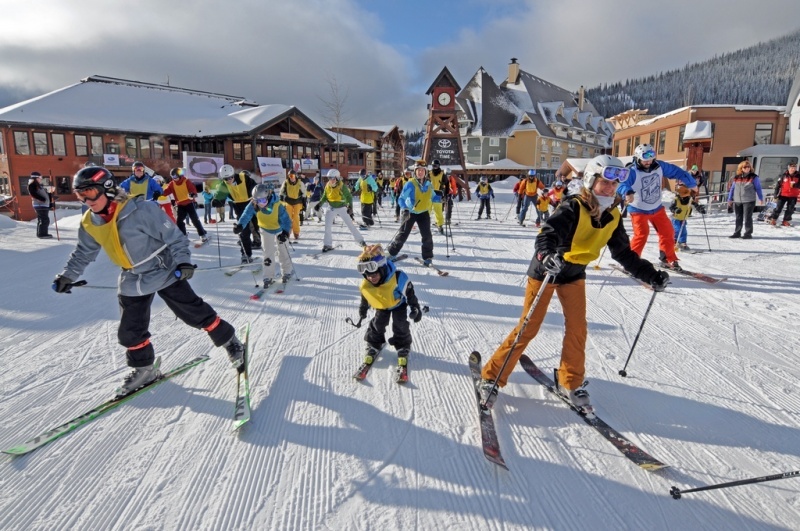 Once again, Schweitzer Mountain Resort has teamed up with Community Cancer Services and the Bonner Partners in Care Clinic for Community Ski Day on Friday, December 11. CCS is a publicly funded organization that helps provide services and information for clients and families experiencing cancer in Bonner and Boundary Counties. BPCC provides health care services for qualifying residents in Bonner County and the surrounding communities. The event's impact is twofold, as the low ticket prices are meant to welcome skiers and snowboarders who may not be able to afford a full-priced lift ticket. One hundred percent of the revenue from ticket sales will be split between Community Cancer Services and the Bonner Partners in Care Clinic. Tickets can be purchased on the Schweitzer website or at the Alpine Shop in Spokane, or at Schweitzer. The lifts will be operating from 9 am to 3:30 pm.